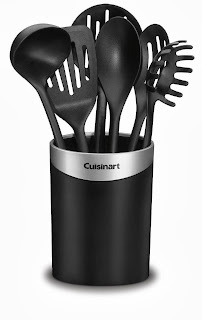 Amazon has a great deal on a Cuisinart Curve Crock with Tools 7 Piece Set for only $27.06 shipped! It is originally priced at $56.00. That's a 52% savings! This is great addition to any kitchen or gift for any one who loves cooking.